Whether you are suffering a chronic pain condition, experiencing restricted range of motion, or feeling fatigue, Anna Health has a custom-designed massage therapy to target specific health problems and helps you feel better instantly! Studies continue to prove the physical and emotional benefits of even a single massage therapy session. The pressure created during the session helps move blood through congested areas and causes new blood to flow in, resulting improved body function instantly. Massage also allows better range of motion and support the connective tissues and muscles to become stronger and healthier. As we age, joints tend to tighten, making range of motion more restricted. Massage helps keep joints more fluid, making you more flexible and less prone to injury. At Anna Health, we also offer Tuina massage therapy that addresses a specific problem. Whether is is musculoskeletal or an internal condition, Tuina massage helps eliminate the stagnation of energy and blood by freeing the muscles and joints and stimulating blood, Qi and lymphatic flow. Once this blockage is removed, the inflammation and tension will be relieved and the body will naturally heal itself. At the end of each session you’ll feel more in tune with your body: more energy, fatigue is reduced, anxiety and stress levels are decreased, blood circulation is improved, better sleep, posture is improved, muscles are relaxed, better concentration, etc. Massage therapy’s effects are cumulative, and with regular sessions, you can maintain this balanced state for life. 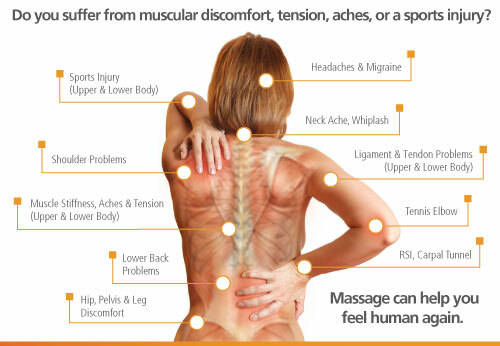 Schedule regular appointments with us today and make massage therapy an important component of your wellness regimen! For more information about medical massage therapy, medical massage therapy benefits, medical massage techniques, orthopedic massage therapy, Chinese therapeutic massage, medicare massage therapy, traditional Chinese medicine massage or to make an appointment for a FREE Consultation via phone or in person, please call 813.464.0967, or click here.